Learn More About Our Slough - and Have FUN!! Load up your canoe or kayak for a springtime paddle! In this guided trip we will go in search of bald eagles, otters, turtles, and osprey. 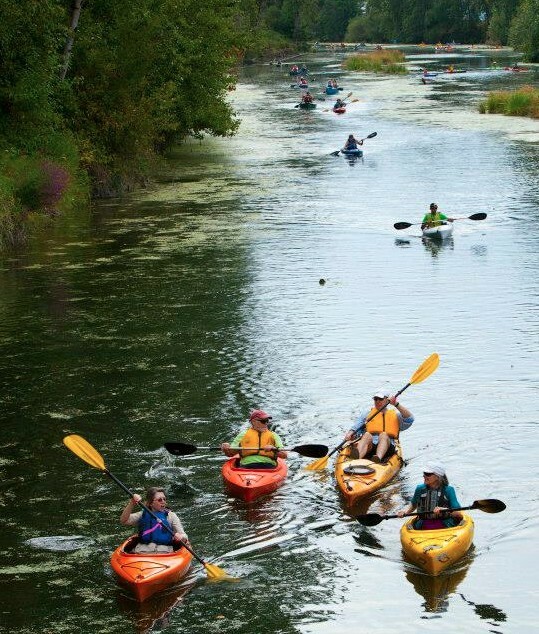 You must bring your own canoe or kayak and life jacket to participate in this paddle trip. NO equipment is available to borrow from the Council. This year we will celebrate Earth Day by helping to restore this valuable headwaters habitat. Wilkes Creek runs directly into the Columbia Slough, so caring for the creek directly affects the health and water quality in the Slough. Join us! Children aged 3-5 with their parents are invited to a short story and guided nature walk. Watch birds fly overhead, search for hidden animal homes, and learn about local trees and flowers. Themes change weekly. Event runs rain or shine. 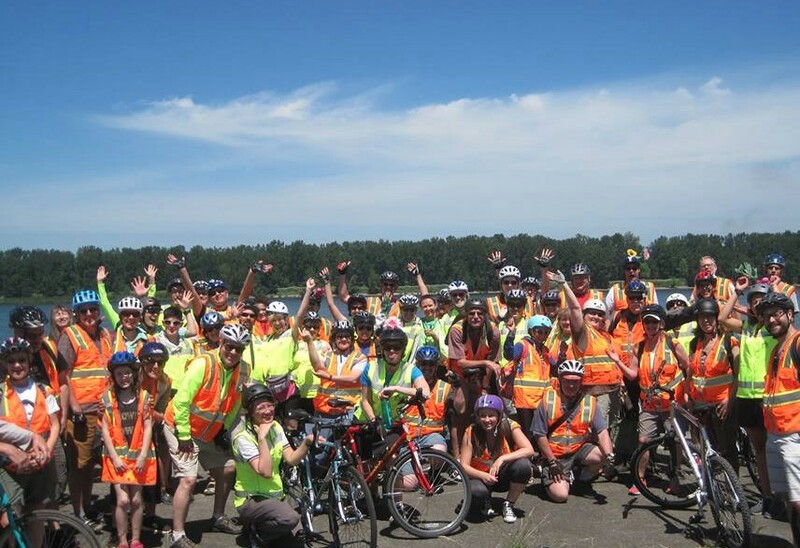 Bring your bike and your friends for a tour of Portland’s Columbia South Shore Well Field! 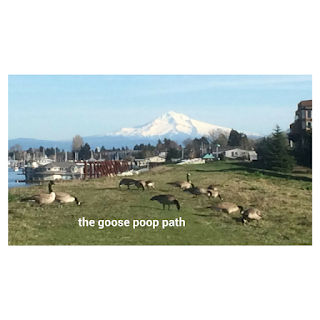 Experts from the Portland Water Bureau and the Columbia Slough Watershed Council will lead this 16-mile trip on easy terrain. Learn about the safety, functionality and history of Portland’s underground drinking water system, which supplements the main supply from Bull Run. Helmets required; light refreshments provided; recommended for ages 12+. Strengthen your connection to the community this Spring and Summer with an internship at the Columbia Slough! This position gives you the opportunity to work with various aspects of a successful non-profit organization while enjoying time outdoors in canoes and kayaks! Help us connect the community with the watershed through outreach events, paddling events and organization management. Learning and Benefits: This position provides experience in event planning, multicultural communications, community outreach, and canoeing. The Intern will gain familiarity with the workings of a successful watershed council and small non-profit organization. To Apply: Submit a cover letter, resume, and three references to Karen Carrillo at karen.carrillo@columbiaslough.org by 5:00PM on Monday, April 18, 2016. For more details, see full position description. Do You Shop at New Seasons? Now you can donate your 5 cent reusable bag refund to the Columbia Slough! We're so excited to have been chosen as a partner for the Bag It Forward program at the New Seaons University Park location. Click here to learn more. The 11 films selected for this event represent a wide range of river systems from the Pacific Northwest to the Middle East. Selected films share stories from a variety of conservation organizations, tribes, watershed councils, agencies and filmmakers. Explore the selected films in the list below. Event features include an opportunity to meet the film makers and organizations that developed the films, prize drawings, and much more! Click here to see the films and learn more. Join Friends of Nadaka and the Audubon Society of Portland for our monthly guided Bird Walk at Nadaka Nature Park. This is a family-friendly event open to beginners and advance bird watchers. If you have your own binoculars, great! If not, we will have some for you to borrow. 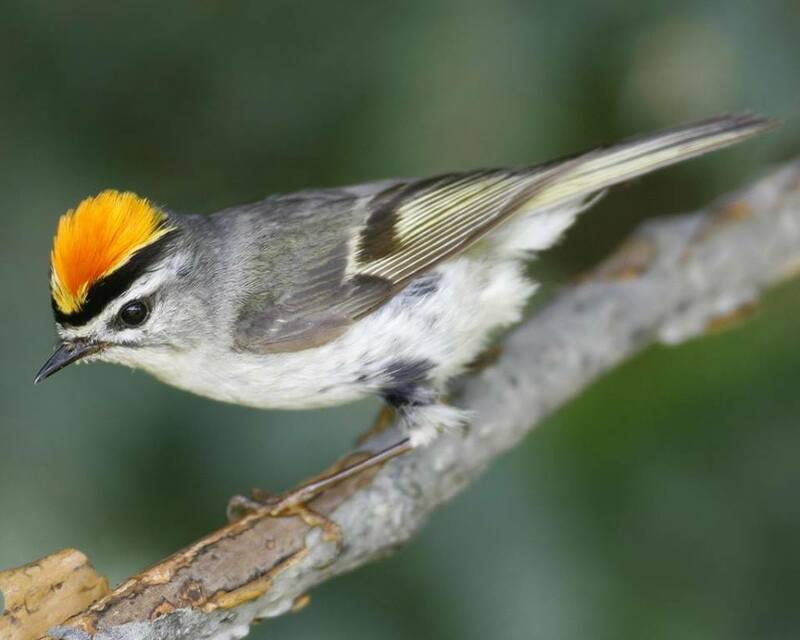 This is a great event to help you brush up on your birding basics and identification. More information: Monica McAllister at 503-956-8558 or monica@friendsofnadaka.org. The inaugural issue of the newsletter is finally out. Learn about the Columbia Slough at Slough 101! Do you live, work or play near the Columbia Slough? 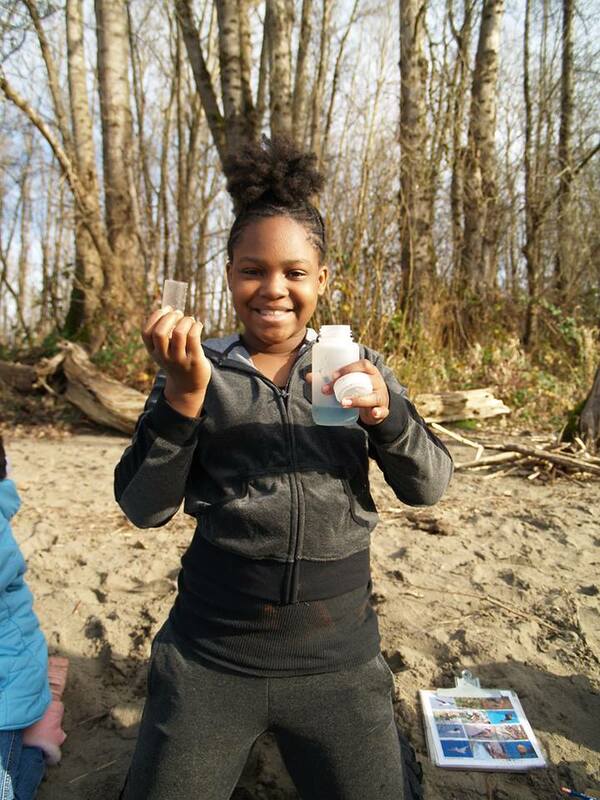 This FREE hands-on workshop will explore the unique character, challenges and opportunities of the Columbia Slough and its Watershed. You’ll learn about soil & sediment in relation to water quality, how the Slough has changed over time, and what that means for fish, wildlife, people and businesses. Open to everyone interested in learning more about the Columbia Slough Watershed, click here to learn more. 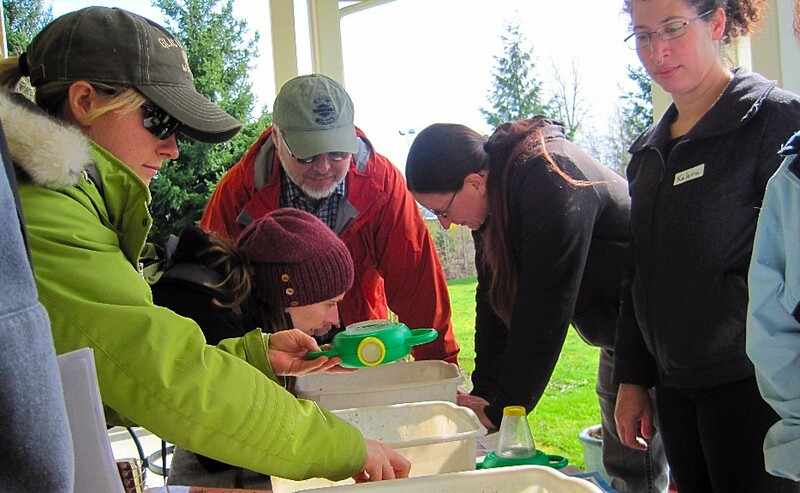 Explore Macroinvertebrates (water bugs) that live in the Slough. Simulate and predict aquifer conditions with an interactive groundwater model. Test water quality through dissolved oxygen, temperature, and PH levels. Tour the water pollution control lab facility. Learn How to Build Your Own Rain Garden at Rain Gardens 101! You will learn how to assess your site to determine the best location and size, calculate impervious surfaces, determine soil suitability, choose appropriate plants, and how to maintain your new rain garden. You will also receive a comprehensive manual that guides you through all the steps in constructing your rain garden. The workshop includes a short tour of a nearby rain garden. Help Lead Trips at our Twilight Paddles, Slough School Paddles, and our Summer Festivals. 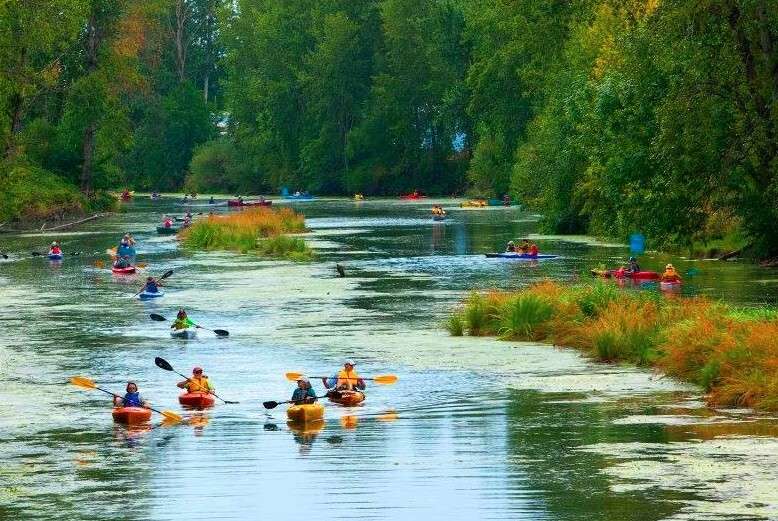 Each year the Columbia Slough Watershed Council hosts dozens of educational paddling events that expose adults and children to the wonders of the Columbia Slough. We’re seeking novice to advanced paddlers who would like to volunteer to assist with our paddling events. Orientation Part 1 will focus on the logistical aspects of this volunteer team. Orientation Part 2 on the following Saturday will include on-water skill building. Volunteers must attend each session, click here to learn more. The Council is seeking applicants for our Education Director position. The Education Director’s primary duties are to provide leadership, planning, coordination, and guidance for the education program, including K-12-Slough School and adult and family education programs and activities. Click here for full position description. Application materials must be received by 4pm on March 3, 2016. 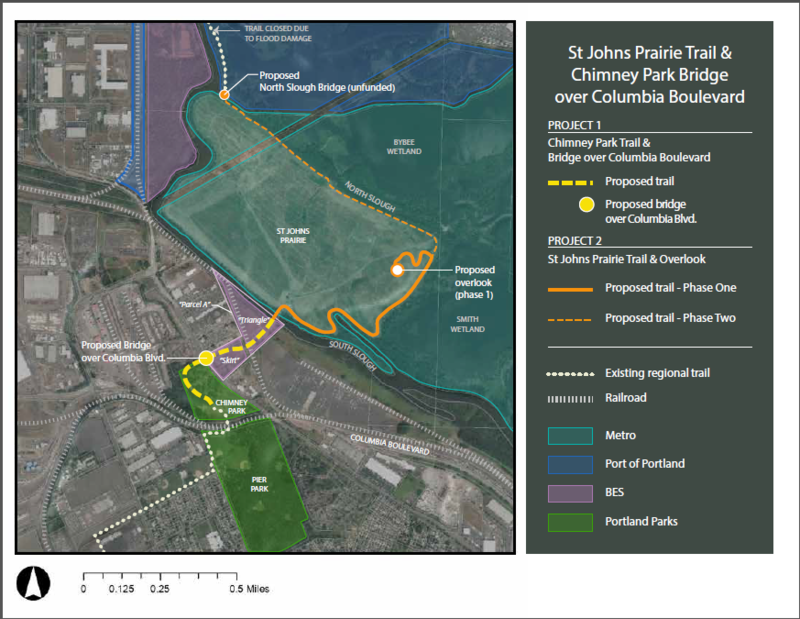 Chimney Park to St. John Prairie with Future Connection to Kelly Pt. Park. Metro, in partnership with the City of Portland, will be designing and building a trail through Chimney Park in north Portland and a bike/pedestrian bridge over N. Columbia Blvd. to connect to the St. Johns Prairie (the former landfill). This trail will be part of the North Portland Greenway and 40-Mile Loop. A future trail connection over the N. Slough to Kelley Pt. Park is in the early planning stages. This would include a new trail bridge over the N. Slough and restoration of the existing deteriorated trail to Kelley Pt. Park. It is anticipated that the planning, engineering and design for the project will start this summer or early fall. Construction date will be determined by the future permitting and engineering work.